Home Celeb Gossip Sheila Gashumba Set To Host Starqt Awards With Father Still Embattled. Sheila Gashumba Set To Host Starqt Awards With Father Still Embattled. 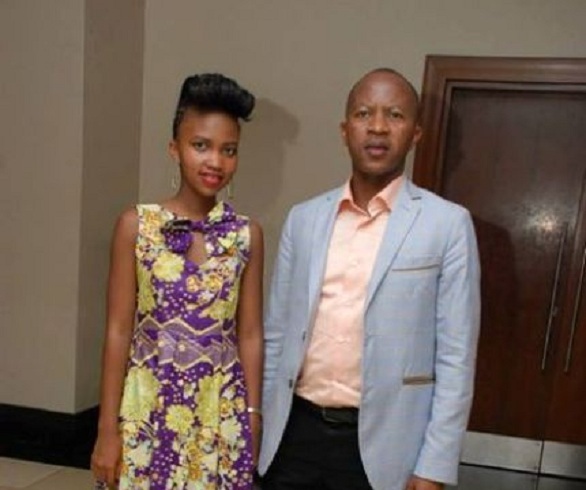 This week popular social and political critic Frank Gashumba of Sisimuka Uganda was arrested and detained at Mbuya by CMI over having more than one passport with different names (impersonation), plans to con investors over 43 billion shillings with his brother, cocaine and drugs but this didn’t stop her daughter and also NTV the BEAT’s Sheilla Gashumba to fly to South Africa to be among the hosts of the Popular Starqt awards that will held soon. The furious young Gashumba claims that NBS TV where actually the embattled Gashumba was co-hosting the Eagle show with Basajjamivule every Sunday are the ones behind the arrest and framing of his dad. On the day when Gashumba was arrested, the daughter took to her dad’s popular facebook page (Frank M. Gahumba) that Gashumba is innocent and doesn’t use drugs nor con people but was framed by NBS TV and other people to tarnish his name because of the conflicts they had. After the arrest it was reported that the slim TV Star had escaped from the country a few hours after her dad was arrested, but later on she posted on her social media accounts claiming that Starqt awards had already paid her a lot of money and so she was not ready to lie and disappear from her client because of Gashumba’s arrest. She further claimed that the police officers who searched Gashumba’s house confiscated two of her laptops and she thinks these laptops had nothing to do with the arrests. Up to now the real reason why Gashumba nad his brother were arrested because many Ugandans believe that the motor mouthed Rwandese-Ugandan Socialite was framed by the government to silence the movement against age limit removal. We will keep you posted in case anything comes out. Previous articleSinger Bobi Wine Hits Vice President Edward Kiwanuka Ssekandi Over Museveni. Next articleUganda’s David Basajja Mivule to face off Benson Mwakyembe From Tanzania In Strenous Match.